Welcome to our collection of MINI Cooper Reviews! 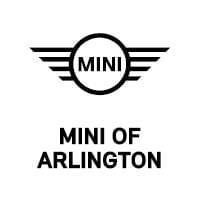 At MINI of Arlington, we want to help car shoppers in Dallas and Grapevine learn more about the car models they’re most interested in. Did that Cooper Countryman catch your eye? How about the Cooper Clubman? 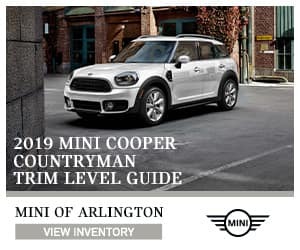 MINI cars bring style and substance to the table, and we want to make sure drivers in Fort Worth and Arlington know exactly what they’re getting! Read on to learn what to expect from our reviews—and contact us with any questions! What’s in a MINI Review? Discover all kinds of things you didn’t know about the latest generation of MINI cars, from cargo space to fuel economy to the MINI Connected infotainment system! Why Should I Read MINI Cooper Reviews? There’s a lot that goes into researching your next new ride, from speaking with experts (like our team of MINI specialists) to taking your favorite options for test drives. They’re all important but reading MINI Cooper reviews is an essential part of that research. 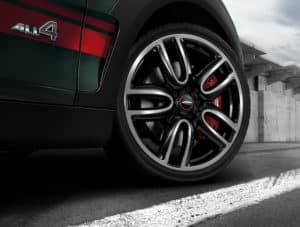 Reading MINI Cooper reviews is how you familiarize yourself with the specs, features, and capabilities of your top car choices. The more you know about the car itself, the more productive your conversations with experts will be—and the more productive your test drive, as you can try out all the features you’ve read about. Plus, the more you know, the more points of comparison you have between different MINI models. It will help choose the perfect car for your daily drive through Forth Worth, Arlington, Dallas, or Grapevine. Now, it’s time to learn all about your favorite MINI cars! Just follow the link on this page to the review for the car you’re interested in and read up on all its most essential qualities. If you want to learn even more, just give us a call at MINI of Arlington!